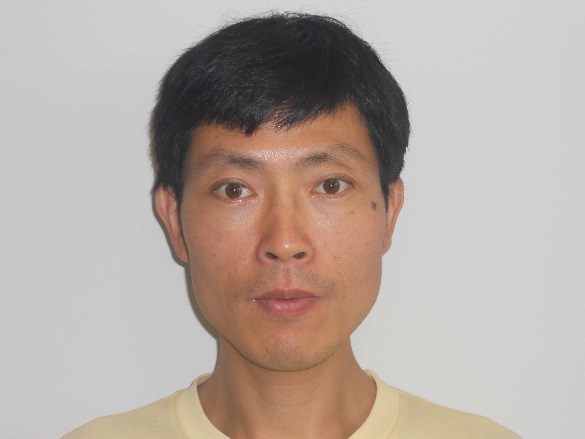 Research Supervision: Dr Wang is currently supervising 4 PhD students (2 as principal supervisor and 2 as co-supervisor),1 master’s degree student and 1 Honours student. Yutang Wang specialises in the research field of sympathetic nerves and cardiovascular diseases. His research areas include sympathetic nerve functions, hypertension, atherosclerosis, abdominal aortic aneurysm, stroke and heart failure. Y Wang, T Dinh, A Nield, SM Krishna, K Denton and J Golledge. Renal denervation promotes atherosclerosis in hypertensive apolipoprotein E-deficient mice infused with angiotensin II. Front. Physiol. 2017; 8:215. SM Krishna, SW Seto, RJ Jose, J Li, SK Morton, E Biros, Y Wang, V Nsengiyumva, JHN Lindeman, GG Loots, CM Rush, JM Craig, J Golledge. The Wnt signalling pathway inhibitor sclerostin inhibits angiotensin II-induced aortic. Arteriosclerosis, Thrombosis, and Vascular Biology (ATVB) 2017;37:553-566. Y Wang. Letter by Wang Regarding Article, "Efficacy and safety of catheter-based radiofrequency renal denervation in stented renal arteries" Circulation: Cardiovascular Interventions. 2015;8:e002117. Y Wang. Is isolated systolic hypertension an indication for renal denervation? Frontiers in Physiology 2014;5:505. Y Wang. Ethnicity and sympathetic tone: predictors of the blood-pressure response to renal denervation? Nature Reviews Cardiology 2014; 11:638. Y Wang. Could pathophysiology failure be ruled out? American Journal of Medicine 2014; 127:e29. Y Wang. What is the true incidence of renal artery stenosis after sympathetic denervation? Frontiers in Integrative Physiology 2014; 5:311. Y Wang. Ambulatory blood pressure may be designed as the primary efficacy outcome in clinical trials on renal denervation. International Journal of Cardiology 2014;176:1262–1263. Y Wang. Single-sided renal denervation may be not suitable for patients with significant renal artery stenosis. Clinical Research in Cardiology 2014; 2014;103:950–951. Y Wang, SM Krishna, J Moxon, TN Dinh, RJ Jose, H Yu, J Golledge. Influence of apolipoprotein E, age and aortic site on calcium phosphate induced abdominal aortic aneurysm in mice. Atherosclerosis 2014;235:204–12. Y Wang. Renal denervation for resistant hypertension-the Symplicity HTN-1 study. Lancet 2014; 383:1885. Y Wang. Renal denervation: the Irish experience. Hellenic Journal of Cardiology 2014;55:516. Y Wang. It may be not suitable to perform renal denervation in renal arteries with significant stenosis. International Journal of Cardiology 2014;174:750. Y Wang. Patients with renal artery stenosis may not be suitable for renal denervation. Clinical Research in Cardiology 2014;103:585–586. Y Wang. Limitations in current clinical trials on renal denervation. International Journal of Cardiology 2014; 174:225. Y Wang. Renal artery stenosis may be responsible for the gradual return of high blood pressure after renal denervation. Journal of Clinical Hypertension 2014; 16:313. E Biros, CS Moran, Y Wang, PJ Walker, J Cardinal, J Golledge. MicroRNA profiling in patients with abdominal aortic aneurysms: the significance of miR-155. Clinical Science 2014;126:795–803. Y Shen, NC Ward, JM Hodgson, I. B Puddey, Y Wang, D Zhang, GJ Maghzal, R Stocker, K. D Croft. Dietary quercetin attenuates oxidant-induced endothelial dysfunction and atherosclerosis in apolipoprotein E knockout mice fed a high-fat diet: A critical role for heme oxygenase-1. Free Radic Biol Med 2013;65:908–915. Y Wang and J Golledge. Neuronal nitric oxide synthase and sympathetic nerve activity in neurovascular and metabolic systems. Curr Neurovasc Res 2013;10:81–89. Y Wang, C Tikellis, M Thomas and J Golledge. Angiotensin converting enzyme 2 and atherosclerosis. Atherosclerosis 2013;226:3–8. Y Wang, S Krishna, PJ Walker, P Norman and J Golledge. Transforming growth factor-β and abdominal aortic aneurysms. Cardiovasc Pathol 2013;22:126–132. NHMRC project grant (APP1062671), 2014–2018: $291,688. Sole CI.